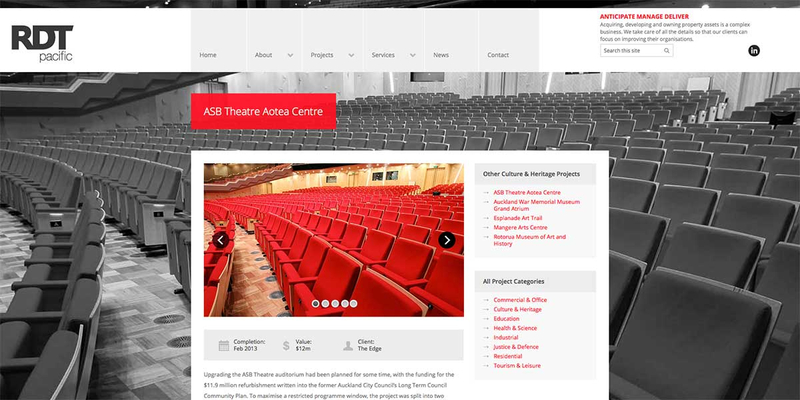 Q: Can you refresh our website design? 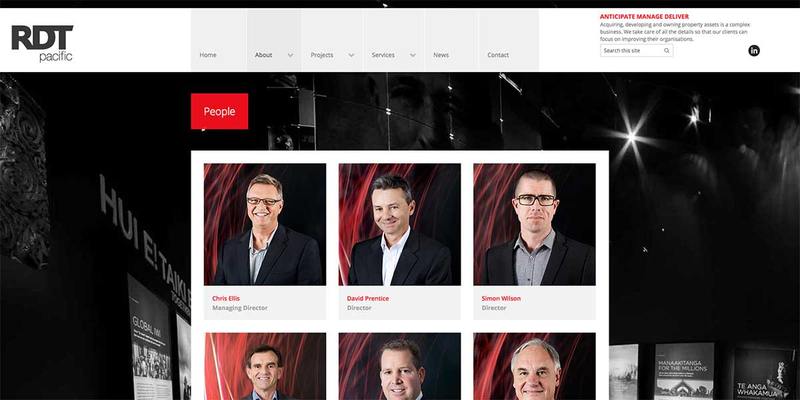 Since 1943, RDT Pacific have project and cost managed some of New Zealand’s most challenging and high profile property projects. 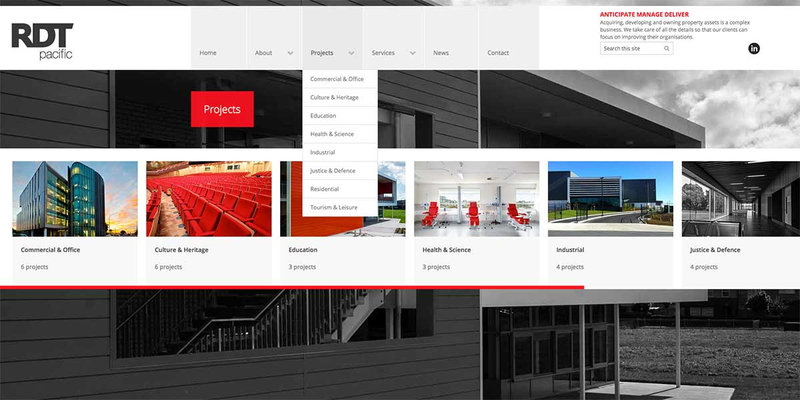 Their drive to ‘Anticipate, Manage, Deliver’ was the perfect motivation for Angle to follow when working on their new website design. 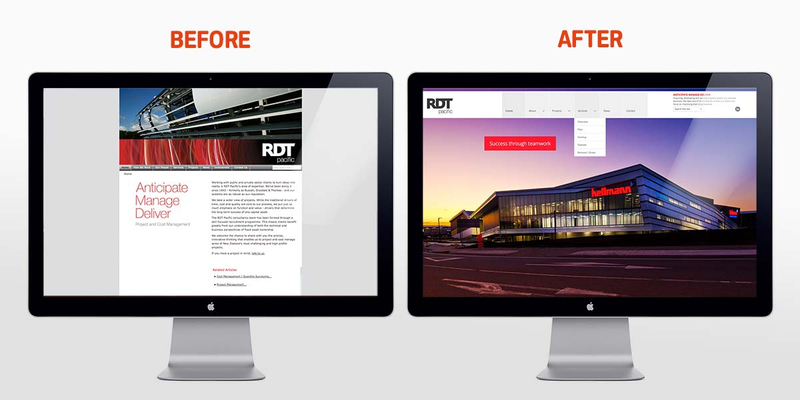 Following a process of clear briefing and gaining an understanding of RDT’s business, allowed Angle to anticipate the client’s needs and develop the most appropriate structure and subject matter for the new site. 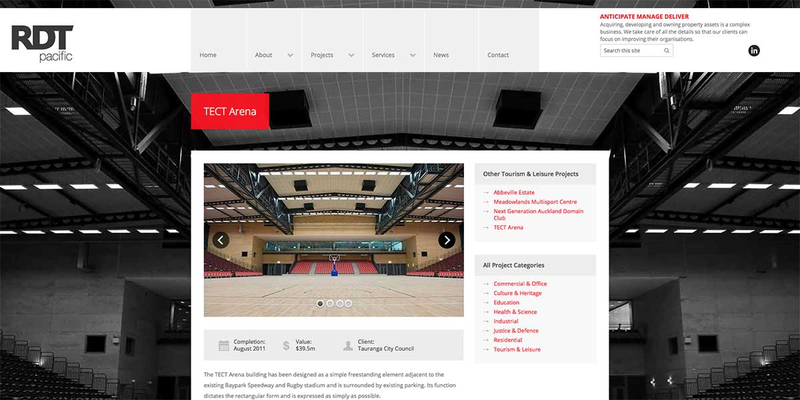 By working closely with RDT Pacific’s Directors, their Marketing team and Angle’s web developer, we were able to successfully manage the entire project from brief to launch. 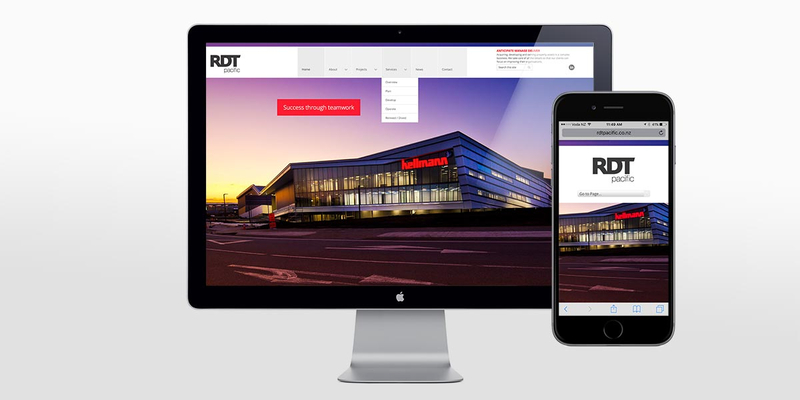 We delivered a refreshed, responsive website that provides a better representation of RDT’s strengths and their high profile projects. 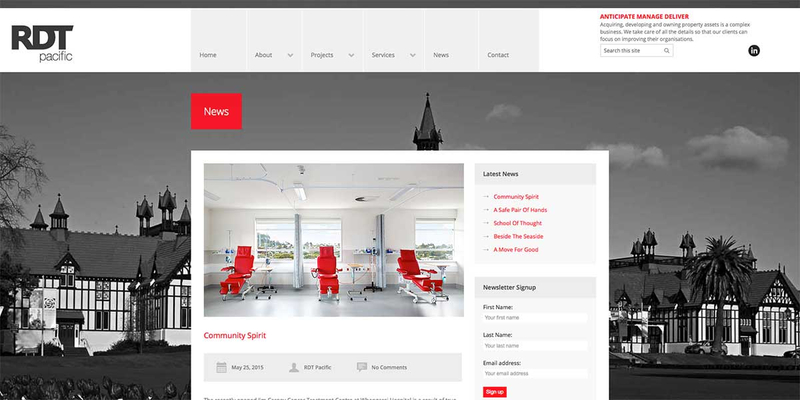 The elegant and simple website design promotes RDT Pacific’s expertise through 33 case studies, across eight different categories, supported with company information and regularly updated news articles.